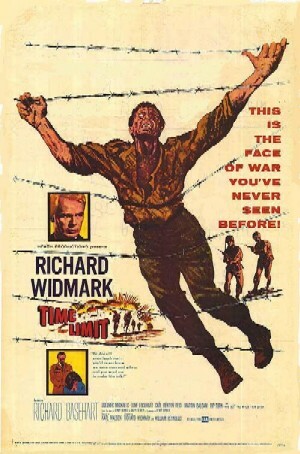 Several months after the end of the Korean War, Colonel William Edwards (Richard Widmark) is investigating Major Harry Cargill (Richard Basehart), who had recorded propaganda messages for the North Koreans, to determine if he should be court-martialed. Edwards is being pressured by Lieutenant General Connors (Carl Benton Reid), the commander of the base, to finish the case. Possessing sharper political instincts, Sergeant First Class Baker (Martin Balsam), Edwards’ assistant, understands that Connors wants a court martial because Cargill, a traitor, survived when his son, who was at the same PoW camp as Cargill, did not. Suspicious that Cargill wants to confess without giving any actual details, Edwards refuses to accept a simple admission of guilt. When the general increases the pressure to finish the case, it merely deepens Edwards’ determination to find the truth. With the help of his secretary, Corporal Jean Evans (Dolores Michaels), Edwards discovers enough holes in the testimony to realize that both Cargill and the key witness, Lieutenant George Miller (Rip Torn), are concealing a secret. Making Cargill face Miller, he learns that all of the men in the shack, aside from Cargill, had agreed to draw lots to see who would kill a collaborator, and Cargill took the blame to spare the men. In the end, it turns out that there were two secrets, and it is left for the viewer to decide whether or not Cargill was a traitor. Despite an abundance of testimony and a confession, Edwards is dubious that Cargill really did convert, since the majority of prisoners collaborated for personal gain. He is correct. Since the Chinese troops frequently starved, there were few resources left over for prisoners, and men died on a daily basis. Conditions improved dramatically in the summer of 1951 after the Chinese decided that it would suit their purposes that the prisoners survived. Prisoners were interrogated to determine whether they were poor or rich peasants, so the questions usually involved land, cows and pigs, to the confusion of the urban-dwelling captives. Their ragged clothes were replaced with Chinese uniforms to weaken their identity as soldiers, and the prisoners were divided into platoons with Chinese-appointed leaders. Any sign of listening to their own officers or NCOs would be punished. NCOs or officers who refused to recognize Chinese authority would receive solitary confinement. The Chinese employed the same crude indoctrination techniques that had proved so successful with Nationalist troops during the civil war but produced negligible results with western PoWs, since it was obvious that western society offered a better life than the poverty of Chinese soldiers. However, the situation did cause many men to collaborate in the hope of better conditions. The US army determined that roughly one in seven of all American PoWs was guilty of serious collaboration. Furthermore, twenty-one Americans and one Briton refused to be repatriated at the end of the war. Time Limit does not fit any simple characterizations. 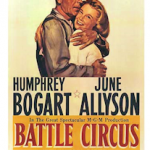 A war movie that appears to be a court-room drama, the movie ends before the court-martial has even begun, but there is the mandatory interrogation that causes a key witness to break down and tell the truth. However, it is worth watching because it was the first film to admit that American PoWs had collaborated with their Communist captors in exchange for better treatment. The supporting characters are given almost as much screen time as Richard Widmark, the star and co-producer of the movie. Martin Balsam is great as a slimy sergeant, skilled at navigating office politics. Although he seems to be focused on making his life as smooth as possible, he sabotages Edwards’ efforts to solve the mystery because he is trying to protect his superior from his own ideals, realizing that Edwards is putting his career on the line for a self-confessed traitor. 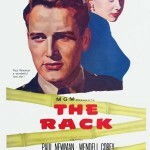 Unlike most films made in the 1950s, the film treats the female characters as more than love interests, while admitting that they did not receive equal treatment from society. Like a good secretary, Evans is in love with her boss, but she is smart, and notices clues that Edwards had missed. Subordinate but not submissive, she stands up for her own viewpoint, and even gently pressures him to follow orders. A comment by Baker reveals that Evans had graduated from university, but is merely a corporal and a secretary. However, the growing attraction between Edwards and Evans is never allowed to dominate the story. Furthermore, Cargill’s wife (June Lockhart) is a well-developed character with her own opinions. It was Karl Malden’s first time as a director, and he decided to focus on acting, believing that he was a better actor than director. The title comes from Cargill’s speech that every man has a limit, and there must be a time limit for heroism. It was originally a play, and Cargill’s final speech is very stagey, but it is still a good movie. Good review. Thanks for giving some notice to this film. It is definitely a forgotten gem. The acting is excellent and it is very thought provoking. The key scene is when Cargill and Connors voice their views on collaboration and both make good points. The general is not stereotyped like you would expect. BTW the “Code of the U.S. Fighting Force” was not instituted by Pres. 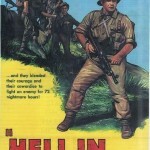 Eisenhower until after the war and in an obvious reaction to situations similar to what is depicted in the film. Yes, I was pleasantly surprised since I had not heard anything about the film. It definitely confirms that Richard Widmark is underappreciated. The general’s reaction was definitely not what I expected. Did not know about the Code, but I am not surprised that it was a reaction to the Korean War and the experiences of American PoWs.